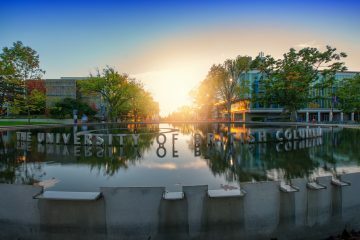 We offer two exciting packages as part of UBC’s Vancouver Summer Program (VSP), from July 13-August 13 2019. VSP is a four-week program for international students from cooperating post-secondary institutions, which provides the opportunity to take two focused academic courses while learning about Canadian practices and culture. Our packages are centered around two fields of increasing importance in contemporary engineering: green buildings and robotics. Climate change is one of this century's grand challenges, and building science and green engineering are an underutilized opportunity to improve environmental and health outcomes. Despite the importance of building design, the difference in performance between the best and worst buildings is far larger than between the best and worst cars, cell phones or aircraft. This course tackles the question: "Why?" UBC has a tremendous variety of buildings, old and new, that are constantly undergoing review improvement. In this course, building design engineers and specialists will provide expert instruction during field trips through some of UBC's best performing buildings, followed by discussions on the key technical and social issues that went into their design. This course explores engineering technology, engineering practice, trade-offs and decision-making. The course will be structured around specific engineering products/processes and the physical principles behind them, through which we will discuss the practice of engineering. Students will apply their own disciplinary background to the analysis of engineering work, projects, and perception, particularly as pertains to the public realm. Through a mix of in-class group activities, experiments, field trips, and discussions, students will examine a variety of topics, from hip replacements to car engines, from a perspective of solving social challenges through engineering design. Introduction to Robotics will provide an overview of common robotic devices and their classifications, and discuss industrial and home robotics applications. Major technical challenges in robotics will be considered, including dynamics related to trajectory and path planning. Through lectures, field trips, group activities, and hands-on lab work, students will explore both how robots sense their surroundings and gather information, and how they can interact with their environment. Although this course is technical in nature and will include a hands-on component, no experience in robotics or programming is required. This seminar-style course will provide students with an awareness of the current state of thinking of the design of robots that are meant to co-exist with people (service, therapy, military, sentry, etc.). The course will provide insight into how sociology, psychology, law, literature and design can contribute knowledge to arrive at a safe and effective co-existence between humans and machines that have some autonomy from their computational intelligence, i.e., robots. The course will examine the taxonomy of collaborative robots, the underpinnings of bioethics applied to technology, and several controversial robot application areas. 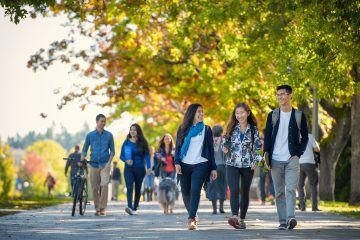 To register for VSP, please contact your university’s International Office, and visit vancouversummerprogram.ubc.ca for further details. The registration deadline is Friday, March 29, 2019. Students are responsible for the cost of food, transportation, and personal expenses. 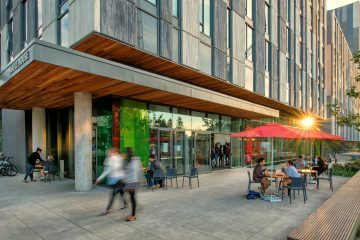 Read more about the VSP accommodations here and go on a virtual tour of the UBC residences and student amenities. We will be organizing social activities for our VSP students in addition to those offered by the wider program. These will provide a chance to learn about Canadian culture and society, as well as engage with students from Vancouver and around the world.